On an 8-island flight tour, I got to see Waimea Canyon on Kauai - from the co-pilot's seat. It was a beautiful sight - and even more dramatic darting about in such a little plane. WAIMEA CANYON . 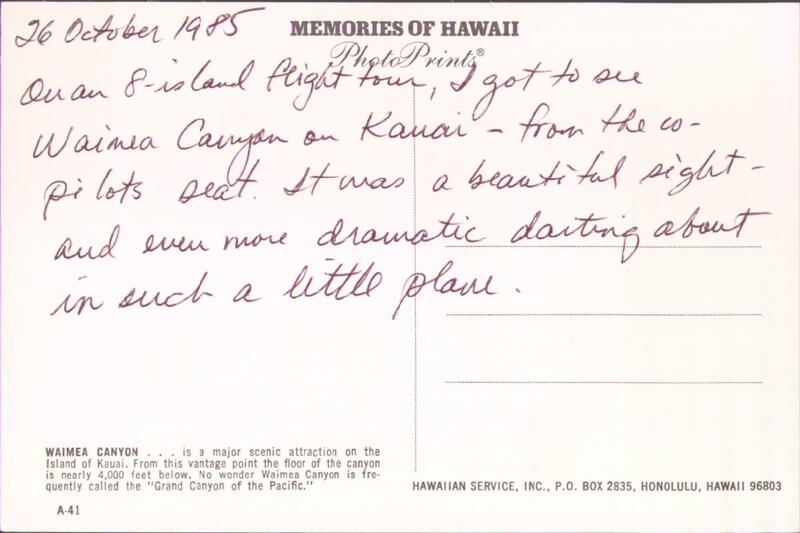 . . is a major scenic attraction on the Island of Kauai. From this vantage point the floor of the canyon is nearly 4,000 feet below. 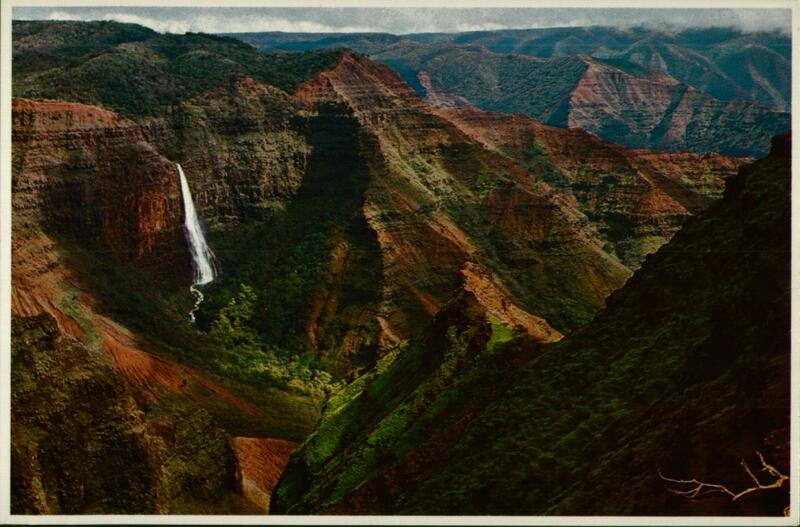 No wonder Waimea Canyon is frequently called the "Grand Canyon of the Pacific". If you think that's impressive, consider this: from the vantage point of a low-earth orbit, the floor of the canyon is 100 miles below!